During his visit to the colonies in 1861, Rudyard Kipling described New Zealand’s Milford Sound as the eighth wonder of the world. A decade ago, TripAdvisor judged it the world’s top travel destination. Visitors to this remote and rain-drenched pocket of the world heritage status Fiordland National Park, in the south-west of the South Island, succumb quickly to superlative overload when describing the sound’s panoramic grandeur – its carpet of beech and rain forests, razorback peaks and waterfalls tumbling over granite cliffs into the inky sound. It is sometimes called a fiord but is, in fact, an inlet from the Tasman Sea carved by glaciers 100,000 years ago. Access to the sound is via the steep Homer Tunnel, cut through a high alpine pass – the only place in the park where the road travels to the ocean. Around one million visitors are expected to visit Milford Sound in 2019 (up from 875,000 in 2017). Nearly half of all tourists visiting the country put Milford on their itinerary. By plane from Queenstown, it is a quick but spectacular 40 nautical mile journey over mountains and valleys with a return journey cost – inclusive a cruise – starting from NZ$500. It takes nearly four hours to get there overland from Queenstown (295km) and just under half that distance from Te Anau (121km) on a road prone to avalanches, rain deluges and vehicle accidents. As a result of this travel timeframe the area swarms with people and activity between 11am and 3pm. Arriving on buses, in rental cars, helicopters, planes or walking out from the four-day famed Milford Track “Great Walk”, they disgorge onto a flotilla of tourist boats that nose up to the falls and cruise past seals, dolphins, penguins and other birdlife. Crew give a geography lesson in the sound’s history flora and fauna. Then their passengers leave, returning the park to a pristine sanctuary after 4pm until the next day’s onslaught. And therein lies a growing problem. Milford Sound is too much of a good thing and the New Zealand Department of Conservation (DOC) along with groups such as Federated Mountain Clubs (FMC) want change. If they could they would turn back the clock to a quieter time. No businesses are in their sights more than flightseeing operators. 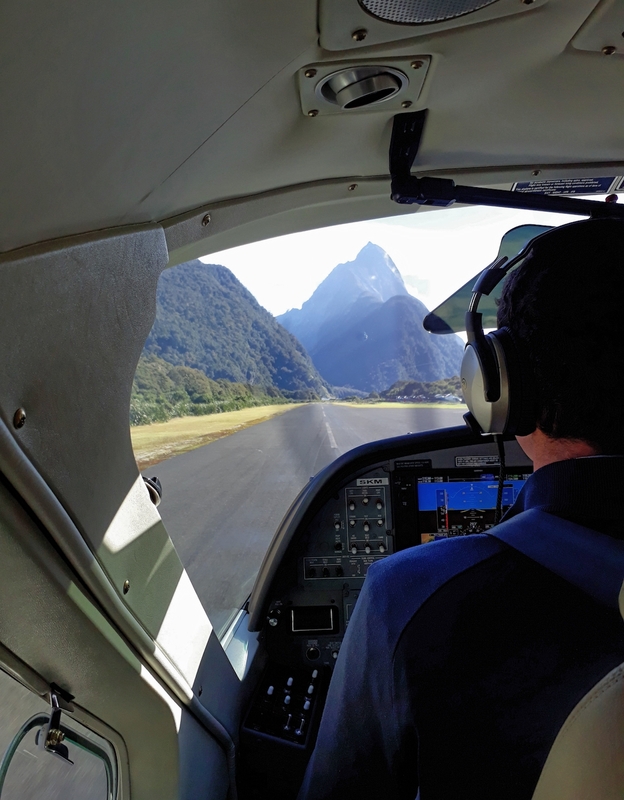 A regular core of eight fixed-wing and 10 helicopter companies operate to and from Milford Sound, boosted by casual operators: 24 operators in total. Between them they were allocated 12,637 annual landings at Milford in 2007 while a supplementary pool of 2,500 landings was negotiated in 2012, allowing them to dip in for more landings once they have used 80 per cent of their concession allocation. But on September 21 2018 DOC dropped a bombshell. From January 1, the supplementary pool would be discontinued. Aaron Fleming, DOC’s director, Southern South Island, told Australian Aviation that over the past two years the supplementary pool had become more difficult to manage for both concessionaires and DOC, and has disadvantaged some operators. He said there had been increasing demand from tourism operators in recent years for scenic landings at Milford’s Piopiotahi Aerodrome. “The pool was completely used up for the first time last year (2017) and some of the larger concessionaires missed out on the chance to obtain additional landings,” he said. He also said the Queenstown-Milford Resident Aircraft Users Group (QMRAUG) had been advised early in 2018 that the supplementary pool was being reviewed as part of the regular review of aircraft concessions. Operators in that group have vehemently disagreed that DOC had the right to review or to axe the pool under the terms of the 2007 Fiordland National Park Management Plan, and maintain they were not consulted as the plan required. As a consequence, they have engaged a lawyer to consider a case alleging breach of fair trading. One of the badly affected operators in the group is Queenstown-based Air Milford’s chief executive, Hank Sproull, a veteran of 40 years flightseeing. He said his company will run out of landings by April 2019. As a consequence four 12-seater Cessna Caravans will be left sitting on the ramp. “DOC has not helped us one bit in the fact that our landings aren’t sufficient to carry out our business,” Sproull said. And this after he invested $10 million in aircraft to comply with DOC requirements for air operators to use better technology and quieter aircraft carrying more passengers, thus reducing the number of landings and noise disruption. Operators had also agreed to avoid the walking tracks of Routeburn and Milford by flying higher and circling in to Milford from the sea. “The concession to operate Milford flights had been a bone of contention since 2002,” Sproull said. “DOC had no say about aircraft in the national park until then. 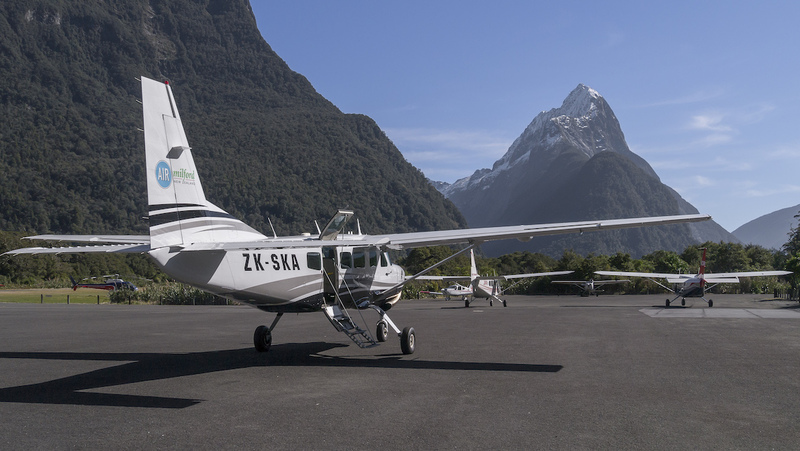 There were a lot of small aircraft like Cessna 207s that used to fly up Arthur Valley where the Milford Track came through. “Aircraft noise caused a lot of friction with the workers in the park so that’s when DOC set out to limit access to Milford,” Sproull said. It took QMRAUG until 2012 to get a workable concession system after a hard-fought battle. Sproull said the latest move to axe the supplementary pool did not reflect the terms of the concession document the group signed in 2012, and bore no reflection of the growth of flight operators or tourism expansion. “We’ve gone ahead and invested in quiet aircraft and new technology as DOC requested and now they have pulled the rug from under our feet,” Sproull said. Te Anau-based Southern Lakes Helicopters operations manager Lloyd Matheson agreed. He said in negotiating the concessions the original idea was to look at a natural growth of 4.5 per cent a year for each operator. “But we agreed that a 4.5 per cent growth would instead go into a bucket that all operators could request (the supplementary pool). Matheson said that while the plan did not specifically mention the supplementary pool, it did mention the 4.5 per cent growth it was based upon – and that was how the QMRAUG had negotiated the concessions with then National Government Conservation Minister, Kate Wilkinson. He said it was still a “legitimate position” and DOC could not come in and axe those flights until a new park plan was in force. A new park plan is now a year overdue from its original start date following widespread consultation with many parties on its framework. It is expected to be another three years before it is enshrined in legislation. “It cost operators between NZ$120,000 and NZ$130,000 in legal fees to get to where we were on the [plan] memorandum of understanding but now they have decided to pull the supplementary pool,” Matheson said. Both he and Sproull cited flaws when the packages of 10-year landing concessions were allocated for the hours of 8.30am to 6pm at Milford. That was because a few operators broke rank and applied for another operator’s package even though applicants were supposed to own aircraft, have them flying on the route and own a current air operator’s certificate. “You could only apply for one package and if you missed out, you missed out,” Matheson said. Thirty-four operators applied for 25 packets of landings, ranging from a few to around 1,700. Of those, between 700 and 900 landings went the way of the on-selling opportunists. Sproull ended up as one of the worst beneficiaries of the arrangement because of his compliance with DOC’s conditions that as part of the 4.5 per cent increase small operators would get rid of noisy, small aircraft. Sproull invested in bigger Cessna Caravans but didn’t have the allocation of landings to go with them, so relied on the pool. Matheson said that to the detriment of Southern Lakes Helicopters most of its flights were over-flights to Milford so they never actually landed. As only landings applied under the plan, it meant they were near the bottom of the rung for numbers. “I think DOC found it difficult to manage the supplementary pool, because of the 80 per cent rule,” he said. “With us having only 41 landings our 80 per cent got gobbled up pretty quickly and we used one landing a week from the pool. 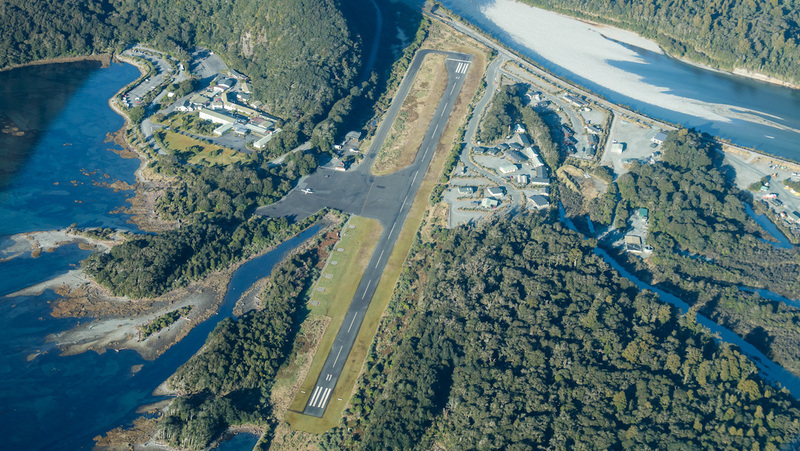 Matheson said he could understand DOC’s predicament but suggested the government body was “running scared” after New Zealand’s Ombudsman, Leo Donnelly ruled in August that DOC had breached the Fiordland park plan rules by upping the number of allowed helicopter landings to Ngapunatoru Plateau so more tourists could visit Mt Tutoko Glacier. The Ombudsman’s decision followed a complaint by FMC, a group of 80 clubs with 11,000 members throughout New Zealand. DOC director Fleming disagreed that the supplementary pool axing was in breach of the plan. “Concessionaires will be allowed to sub-permit or assign their unused landing allocations to other operators, provided both parties and DOC agree to the transfer,” he said. Matheson reiterated that the aircraft section of the national park plan specifically noted DOC had to negotiate with operators and the aviation user group. Milford Helicopters is the only Milford-based flight operator. Its owner, Jeff Shanks has a packet of 1,770 landings annually. He said the situation with air operators at Milford Sound had imploded and was now out of control. He said that what has transpired between DOC and the air operators has made a farce of the system, with some being allowed quotas even if they were not in the business. “DOC has dropped the ball. If things continue as they are it will shut down the industry,” he said. Fleming said DOC would work with the sector around these concerns, but said any solution needed to be within the rules of the park plan because DOC’s responsibility is to manage the impact of activity on conservation values. The supplementary pool isn’t the only bone of contention at Milford Sound. Sproull said that with the exception of a few more helipads, the aerodrome is as it was when he started flying there 40 years ago. It is a 792-metre airstrip without a terminal, toilets or even a shelter. If it rains – and it does frequently – tourists must wait under umbrellas for their aircraft while fending off pervasive sandflies. DOC charges NZ$15 an aircraft landing at Milford. From 2020 it has signalled the charge will increase to NZ$20 for a Cessna Caravan, followed by a further increase to NZ$175 in 2021. Sproull said the user group will also fight against that increase because it is not in line with the consumer price index as required under the park plan. He also said none of the money raised goes into facilities for passengers. 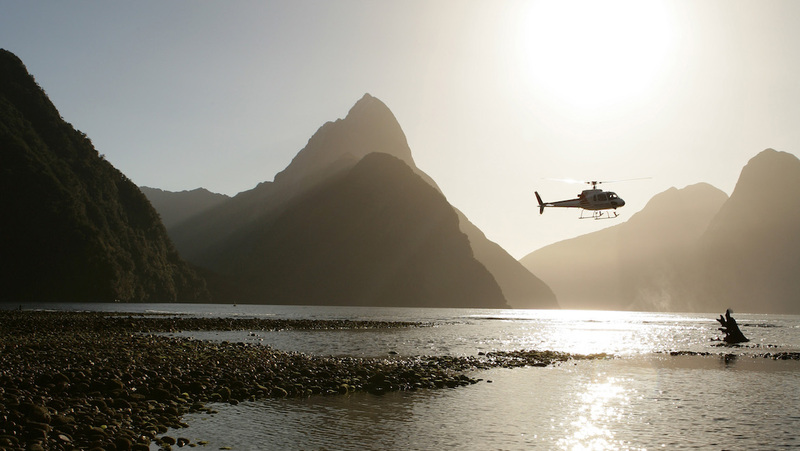 In the case of Southern Lakes Helicopters, it pays a NZ$10 fee per person (NZ$70 for its seven-seat helicopters) plus the NZ$15 activity fee at Milford as well as the NZ$50 concession fee. The company also pays management fees of NZ$450-500 a year. 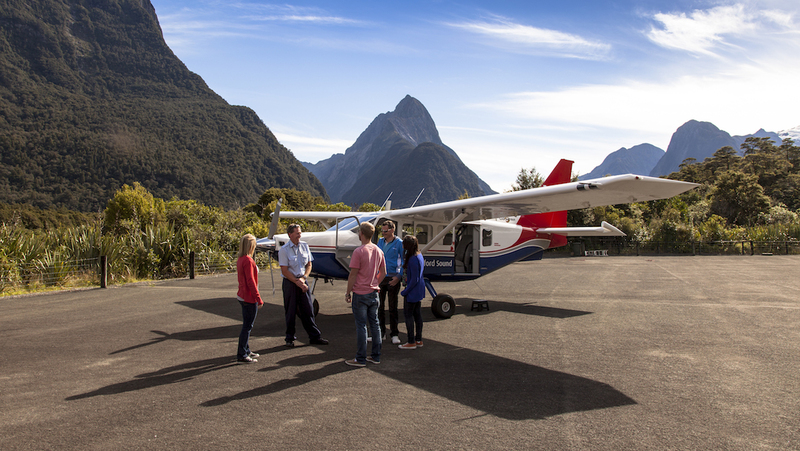 Every operator pays Airways NZ$65 for control tower operations at Queenstown and NZ$45 at Milford Sound. There are also Ministry of Transport fees. “It’s tax after tax after tax. We don’t mind paying if we had decent facilities to go with it,” Matheson said. Sproull said his company had put about 80,000 fixed-wing flights through Milford, yet the aerodrome remained rudimentary. “These state-owned enterprises are sucking out of us but do nothing in the way of development. Money goes into more and more parking spaces for increasing traffic numbers. Matheson said the apron parking for fixed-wing was totally restrictive and at times, congested. Helipads had increased from two to five, but DOC had told him expansion was constrained by a unique moth that lives at the end of the runway. “The whole industry could probably improve by managing some issues better. At present all the boats have scheduled sailings geared to travel out of Queenstown by road. The cruise vessels are staggered to meet that demand, but by 4pm nobody is there,” he said. “Between boat and air operators we need a bit of give and take so we are not all shooting ourselves in the foot,” Matheson said. 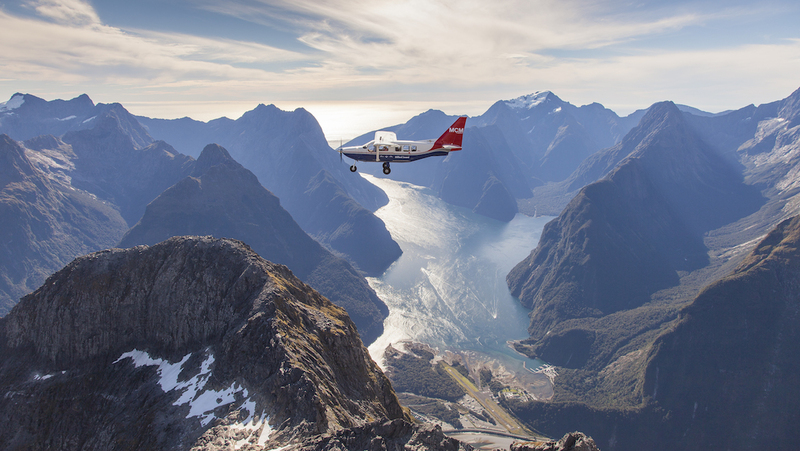 DOC’s decision to cut the supplementary pool has, in effect, capped flights to Milford Sound. Capping was originally in the 2007 park management plan, but was overturned by the previous government in July 2011 in favour of the pool for the same reasons behind the current issue: operators were unable to take flight. The then Conservation Minister Wilkinson said capping could have sent operators out of business without actually addressing the impacts of activity on the environment. She also believed the restriction was unnecessary because weather acted as a natural cap. Milford has one of the highest mean annual rainfalls in the world (6,412mm), meaning aircraft can only fly on roughly 200 to 250 days each year. Conservation, tourism, cultural and environmental bodies, outdoors groups, local government and consultants have formed groups to assess the situation and decide how the ecosystem of the world heritage national park will fit with the increasing number of visitors. There has been talk of capping the number of tourists, similar to moves undertaken around the Grand Canyon and Italy’s Cinque Terra. Numbers on the walking tracks are already restricted. Matheson said it was about consultation. “We thought we were making really good headway with the tourism industry association and FMC and if we all work together . . . will work around it. The aircraft users told the FMC that if it emailed the location of a particular group on a particular day, the information would be distributed to aircraft user members. They would then avoid that route. No emails have been received. “Operators are there to make a dollar,” Matheson said. But a blueprint for the future won’t happen quickly. The current plan attracted more than 2,100 submissions, the highest number ever received in New Zealand for a national park plan. It is likely there will be even more submissions this time round, such is the level of emotion of New Zealanders around their beloved great outdoors. 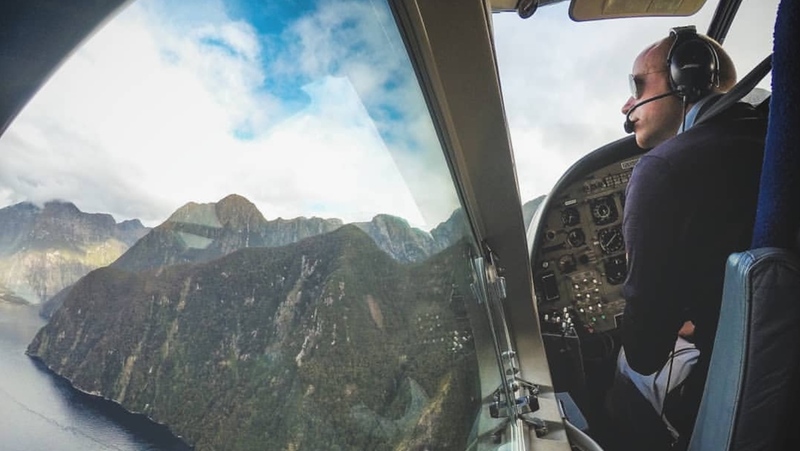 VIDEO: A look at an aircraft landing at Milford Sound from the Air Milford YouTube channel. This story first appeared in the January/February 2019 edition of Australian Aviation. To read more stories like this, become a member here.